It's always a pleasure to be a judge in the Canadian Festival of Chili & BBQ each year out in the Cascades Casino parking lot out in Langley. I'm not sure if Viv necessarily agrees because she is the beneficiary of the fallout afterwards... This year, Sean joined me in the "line of fire" in trying out many different chilis in rapid succession. But before that, we needed to get a real meal inside of us first right? Call it a pre-eating exercise of sorts... Hence, we did a pit stop at Sun Viet first which, according to the internet, serves up some pretty good eats. 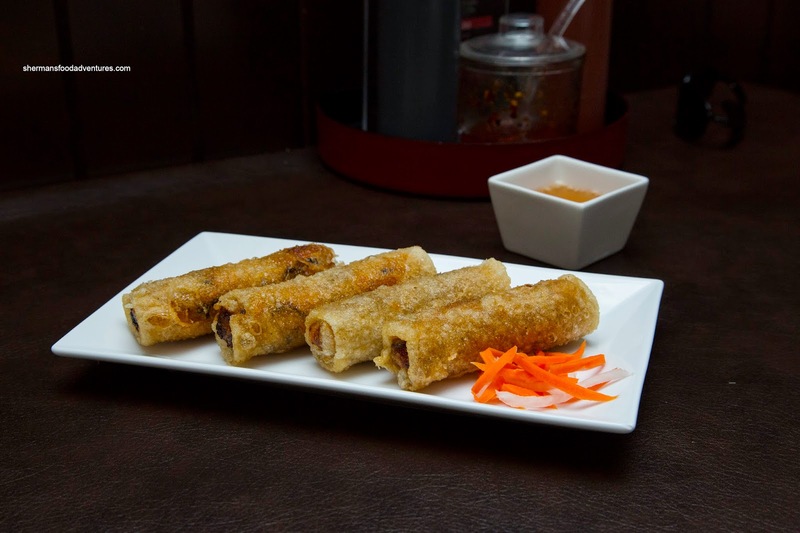 We started with both the Summer and Spring Rolls. 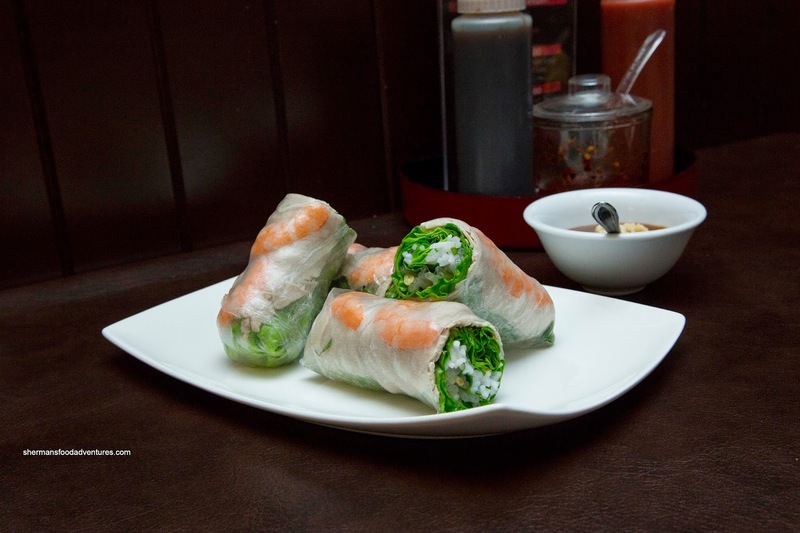 The carefully constructed Summer Rolls featured all of the necessary ingredients including lettuce, rice noodle, basil, bean sprouts, pork and shrimp. So many places take shortcuts, but not here as the roll was really good. The dipping sauce had a nice balance between peanut and hoisin as well. Neatly plated, the Spring Rolls were crunchy, yet a bit too chewy (possibly either fried too long or dried out wrapper). 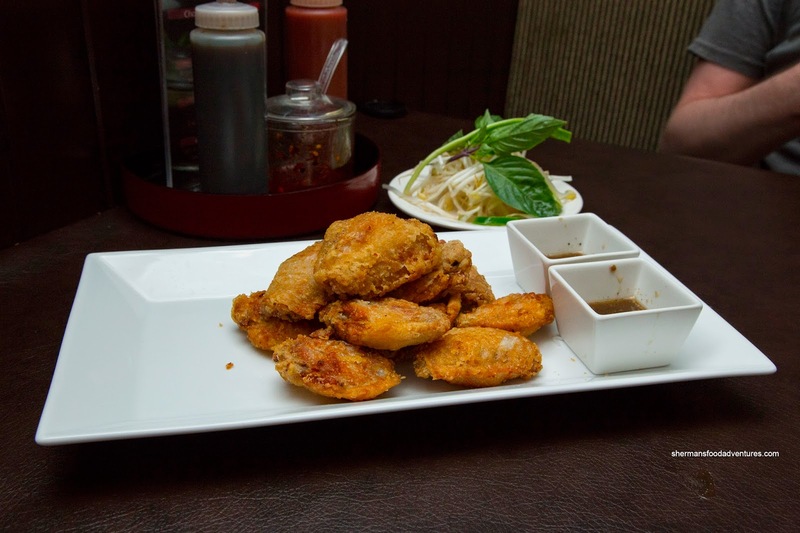 They were not greasy and the chicken filing was moist and flavourful with a nice hint of fish sauce. I particularly liked that the filling was varied with shrimp, taro, carrots, wood ear mushrooms and mung bean noodles. We ended up with one more appie being the District 1 Chicken Wings. Correctly described on the menu as crispy, these wings were also not greasy (proper oil temp). The meat inside was moist and flavourful while not juicy. I really liked the accompanying dip that was tart from the tamarind and flavourful from the garlic and pepper. 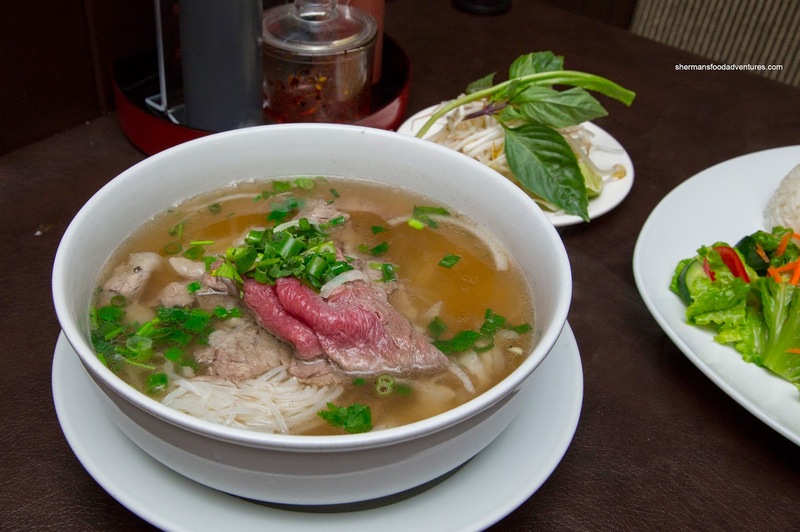 Naturally, we couldn't pass up a bowl of Pho Dac Biet and it was the right decision as it was also quite good. The broth was clean, light and only mildly sweet. Either there wasn't any MSG or very little of it. Moreover, the noodles were not clumpy while the meats were sliced thin and tender. 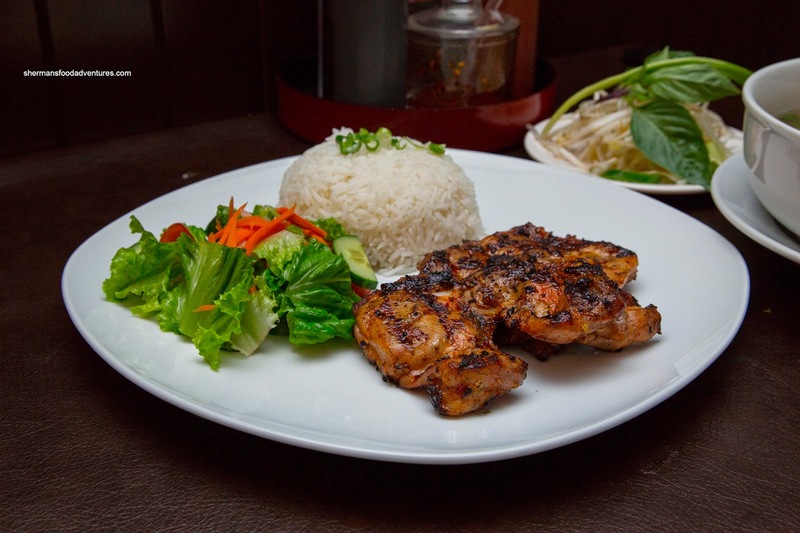 Lastly, we shared the Chargrilled Lemongrass Chicken with Jasmine Rice. As you can see in the picture, the chicken was beautifully charred which resulted in a nice smoky flavour in addition to the aromatics from the lemongrass. As much as it was charred on the outside, the meat remained moist on the inside. This dish, along with the others were practically all on point. Surprisingly, the food at Sun Viet can be seen as better than most other Vietnamese restaurants (of this type) in Vancouver. They are legit, including the inclusion of saw leaf herb with the sprouts. Hi Sherman, I work at Sen Viet as a waitress there (not sure if I served you and Sean that day) and I have been a fan of your blog for about two years now. Thank you so much for writing such positive things about the restaurant. 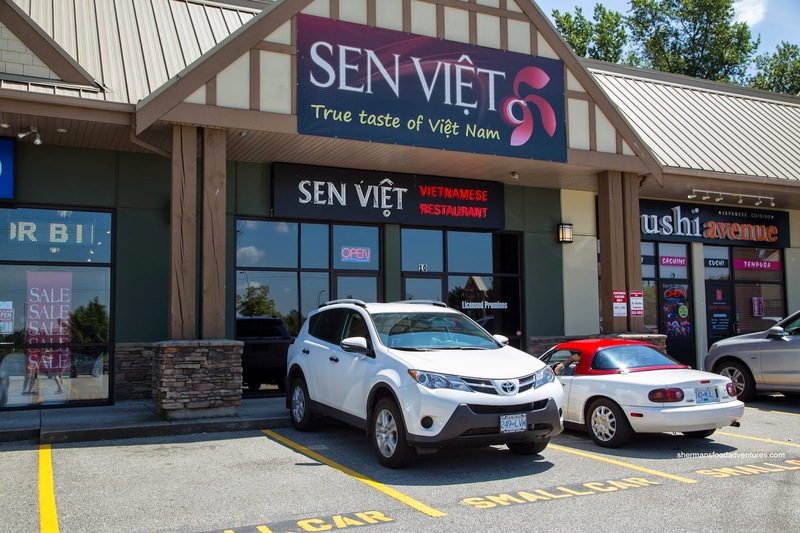 We hope to see you soon at Sen Viet! @Vivian Thanks! Hey, the food is good, speaks for itself!